Add some visual interest to your space with these DIY tips. Moving into a beautiful brand-new home can feel like a dream – everything is perfectly in place and you can feel secure knowing that there won’t be a need for major repairs or renovations for many years to come. Still, new homeowners sometimes feel like a pristine home doesn’t completely represent their personality and individual style. 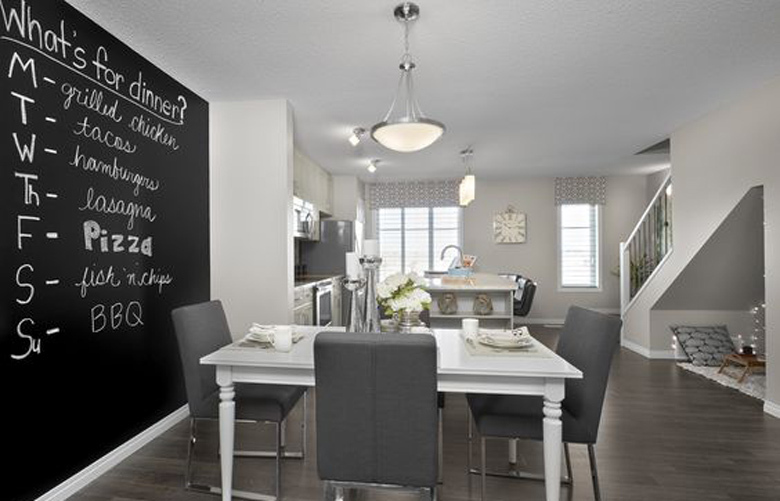 Or perhaps they fell in love with an impeccably designed show home, but aren’t sure how to bring some of those customized touches into a new home without the help of a professional designer. Luckily, the benefit of having a new home (or a house that’s in pretty good shape with no need for major renovation projects) is that a little bit of work and know-how can go a long way in transforming a space into a personalized dream home. Three top Alberta-based designers – Rochelle Cote, Alykhan Velji, and Amanda Hamilton – have all worked on residential projects around the province and beyond. All three have some helpful tips that people can try themselves to add some magic to their homes. Hamilton says that the easiest way to personalize your house is to fill it with artwork, either by investing in original pieces or turning personal photographs and items that you’ve found along your travels into objets d’art. Knowing that many homeowners don’t have a budget for original paintings, Hamilton recommends checking out sales at local art colleges, getting personal photographs professionally famed, and putting unconventional items like records in frames to create one-of-a-kind dcor pieces. Paint a feature wall for an affordable update to a room. Both Hamilton and Velji like the idea of creating some interest in a room by changing up the colour or the texture of the walls. Hamilton says that nothing creates a change as quickly and as affordably as a coat of paint. Hamilton likes putting wallpaper behind the headboard in the bedroom for a bit of added luxury or adding understated elegance to a room by choosing a wallpaper that is the same colour as the other walls in the room, but has a different sheen or texture. The right lighting can go a long way when you’re looking to create a certain mood in a room. While most new homes come with ample overhead lighting, Cote recommends adding plenty of lamps to give yourself more options throughout the day. “Adding extra lamps provides a warm, low light level that sets the cozy atmosphere,” Cote says. Since many new homes come fitted with gas fireplaces, she also recommends using them more often as a source of both light and warmth. If you want to create a sense of ambiance that you can also appreciate with your nose, lighting a few scented candles can always make a room feel more inviting, especially in the evening. Often when you move old furniture into a sparkling new home, even some of your favourite old pieces can suddenly feel shabby and worn. Luckily, with a little DIY ingenuity, certain types of older furniture can be given a new life fairly easily. Whether you’re repurposing the old or creating something completely new, take some DIY inspiration from Brookfield Edmonton’s Pinterest page, which features unique projects found in their show homes around the city. 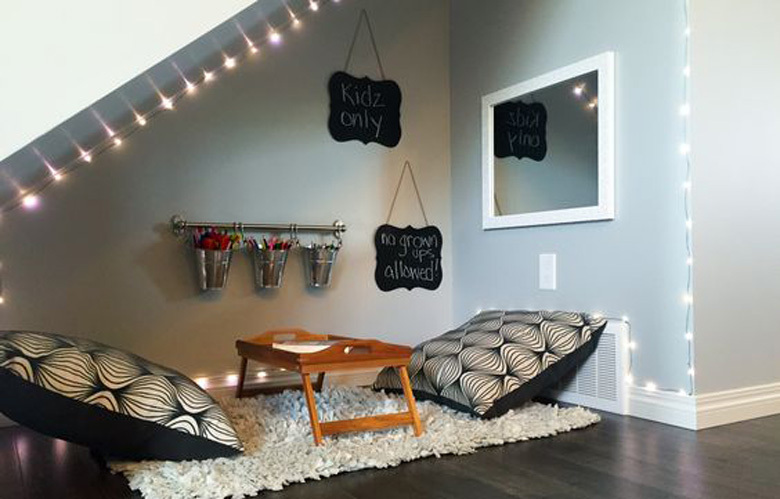 One of the DIY examples from Brookfield Edmonton’s Pinterest page. Throw pillows and drapes work to add character and warmth to a room. 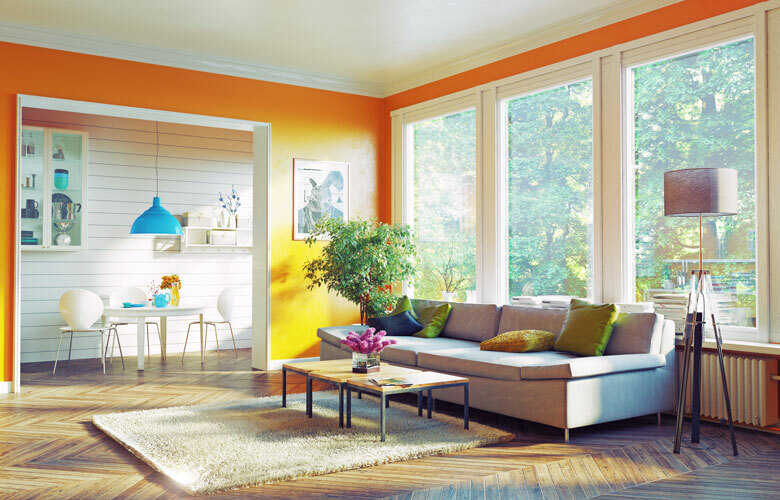 Many homeowners choose minimalist blinds over plush draperies, but Hamilton advises that drapes are making a comeback and can add real impact to a home. Cote is also a fan of drapery and points out that drapes add some literal warmth in the winter by physically blocking out the cold. Of course there are plenty of other things you can do to personalize your house. 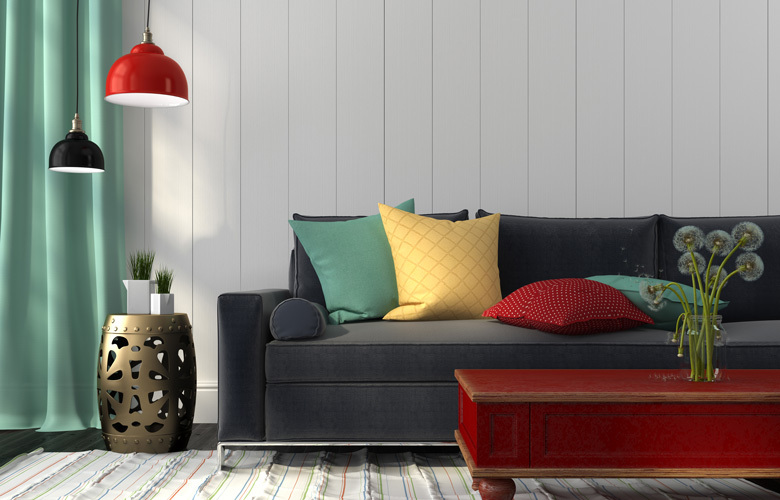 From adding accessories like throw pillows and blankets to give it a curated lived-in look to changing out the hardware on your cupboards, it’s the little things that can truly transform a new house into a home.